is a Translation created originally for 1944 [p1].nes a Hack of 1943 (J) that existed as an elusive game from Japan. After having made a patch for 1944 Japan he found need to make a patch for 1943 - The Battle of Valhalla (J) [! 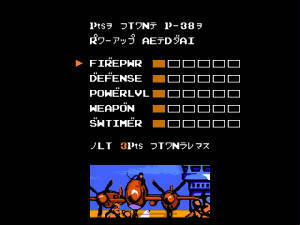 ].nes the Japenese version of 1943 - The Battle Of Midway. This adds a Hacked English Powerup Menu only that does not change any other elements of the existing games and does not add any English Font the Existing Font was used and remains unaltered. Both Patches are included in the below Download along with readme files for both versions of the Japanese Game.